Networking Event is one of the main activities of Vietnam Innovation Summit. 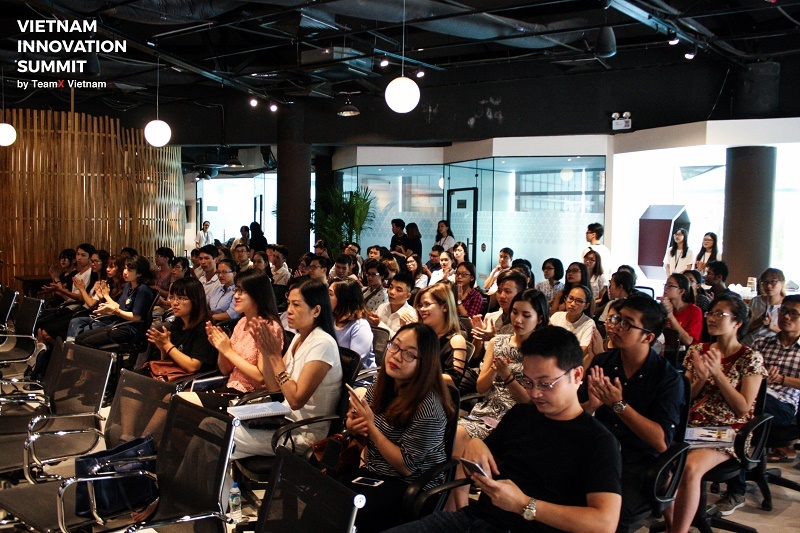 The organizer, TeamX Vietnam, includes young university students who wants to create a free space to connect creative ideas in Vietnam’s society. To help the career starters of Gen Y get to know their advantages and obstacles in labor market, Ms. Dang Le Tram – Head of Human Resources of Philip Morris Indochina - had gathered with Professor Nguyen Huyen Minh of Foreign Trade University and Ms. Tran Huyen Trang, Head of Human Resources of B.Braun Vietnam to share their experience and knowledge with the students. Guest speakers and the audiences had had an open, honest conversation with each other about this topic as well as about how big corporation support Gen Y climbing their career ladder. At the same time, Vinataba – Philip Morris also had a chance to understand more about students’ expectation and what we can offer them to bring them a meaningful job experience. 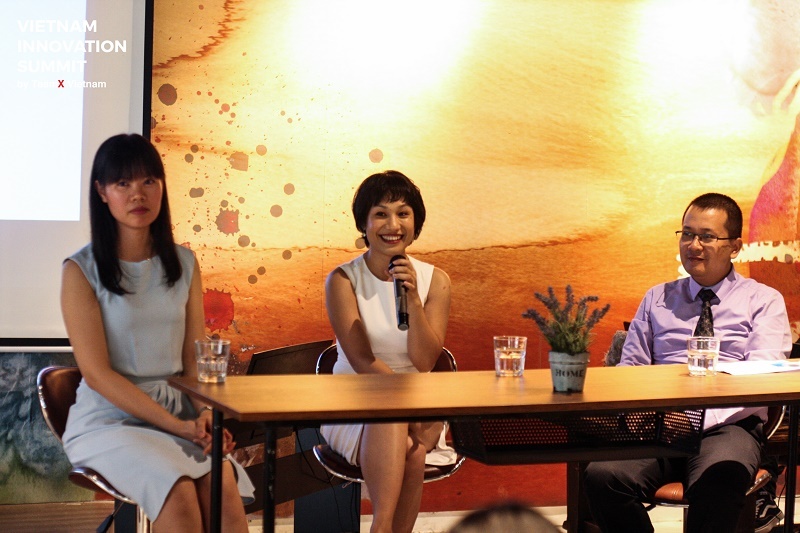 Ms. Dang Le Tram – Head of HR with 2 guest speakers sharing their opinion and experience with the audiences. Connect the Dots is an annual job fair organized by British Council and UK Alumni Vietnam Association. 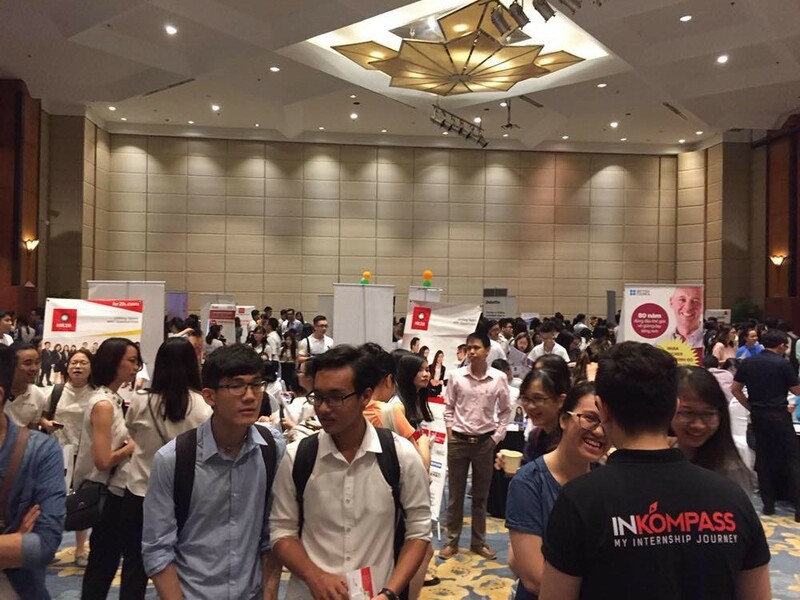 This event has become very familiar to students in Hanoi for bringing lots of job opportunities from local and global companies. This was the first time Vinataba – Philip Morris taking part in Connect the Dots and we truly valued this opportunity, since it brought us closer to students who are seeking for a career in multinational corporations. For a short period of time, our company’s booth had welcomed nearly 100 students coming to find out about employment opportunities. We are proud that many students had shown their interest in the company and applied for open positions right at the career fair. We hope that our connection with the youth will not be limited in these two events but will be broaden in the future so that more and more career starters can get to know about Vinataba – Philip Morris and the opportunities that we offer to help them take a step closer to their dream job.